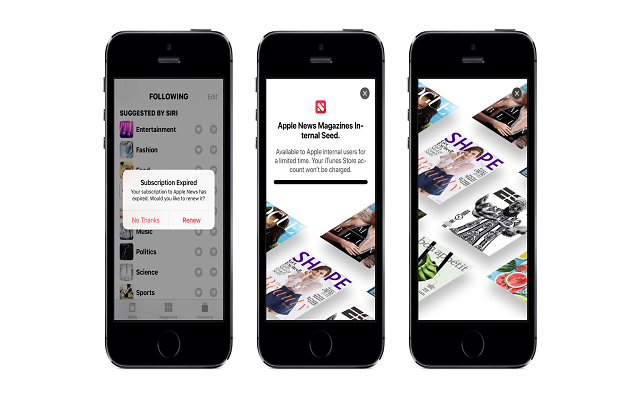 In the mid of 2018, we heard the rumors about an Apple News subscription service that company is planning to utilize its acquisition of Texture to bring its own paid subscription service for news and magazines from different publishers. After that, it was also reported that Apple is also going to consider an all-in-one subscription model with tv shows, music, and magazines. Now the report says that soon Apple will bring News App in iOS 12.2. Recently, the first beta of iOS 12.2 for developers has just rolled out by Apple. This new release brings new features related to Apple’s new magazine’s subscription service and we also came to know about the new AirPods 2 with support for “Hey, Siri”. It is to be expected that the subscription service might be known as “Apple News Magazines,” and iTunes store will handle the payment system. However, there is no information about the launch date yet nor we don’t know about the price. As the internal testing is happening now so there are chances that we may see the new service at an event in March that would also come with the announcement of the new TV shows service, Apple News Magazines, and this all-in-one bundle subscription. We hope that the Apple News subscription service will provide us the reliable and good content. Does Social Media Influence Our Spending?